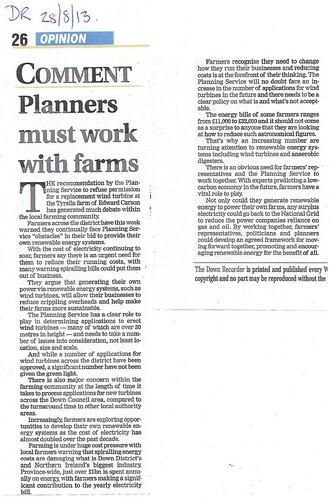 « aug 28 2013 Turbine Wars continued from front page.
. Closed Tags: chris hazzard mla, Edward Carson, farmers wind turbines, john mcallister mla, tyrella.